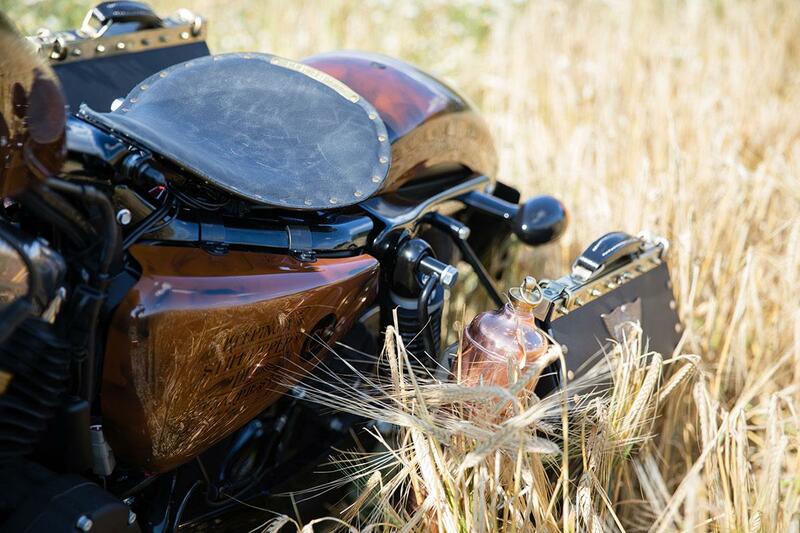 The latest wave of custom bikes are all about simplicity and minimalism. 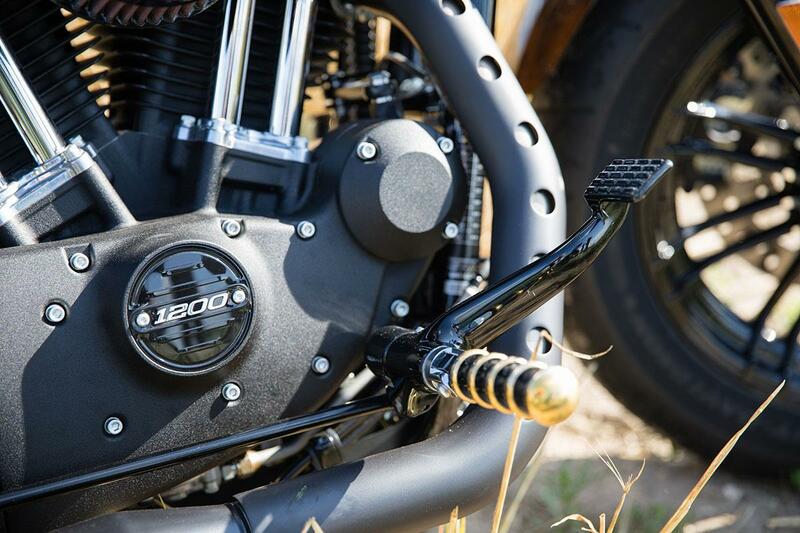 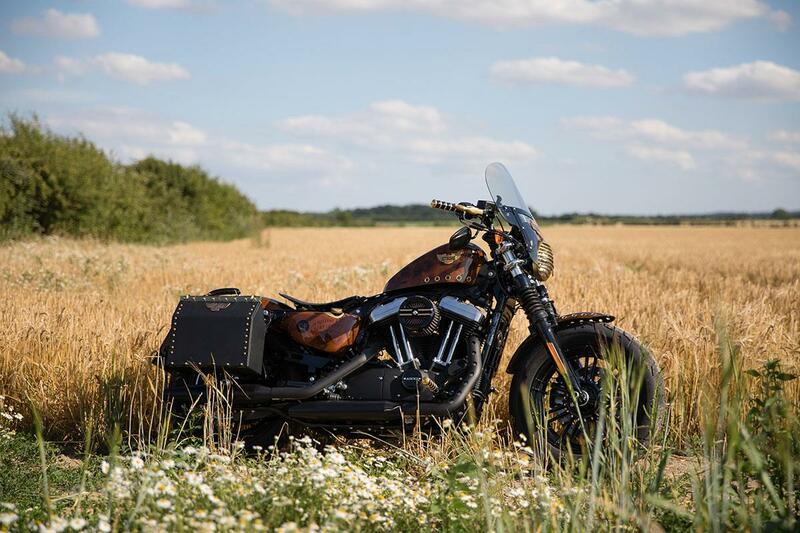 Most of them have tiny brake lights, small front mudguards and a seat not much thicker than a folded up blanket, so this steampunk-inspired Harley-Davidson Forty-Eight is quite refreshing, and certainly stands out. 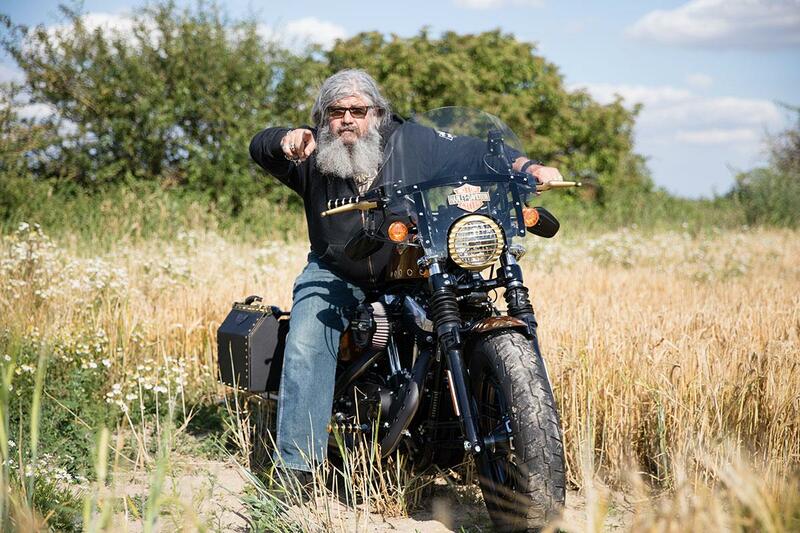 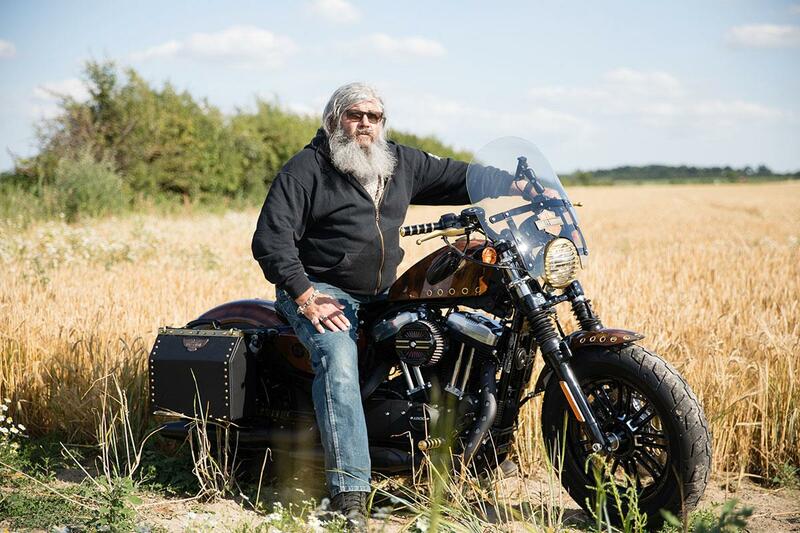 The bike is the brainchild of Richie Finney, the man behind grooming product brand Captain Fawcett and Linzi Mumford a former bike builder turned furniture restorer. 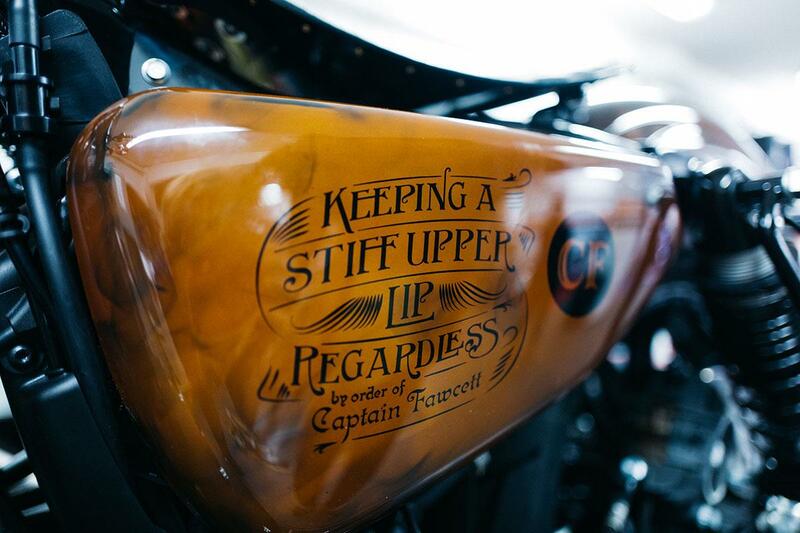 Both Linzi and Richie share a passion for steampunk design, and with the help of Newmarket Harley-Davidson were able to bring their idea to life. 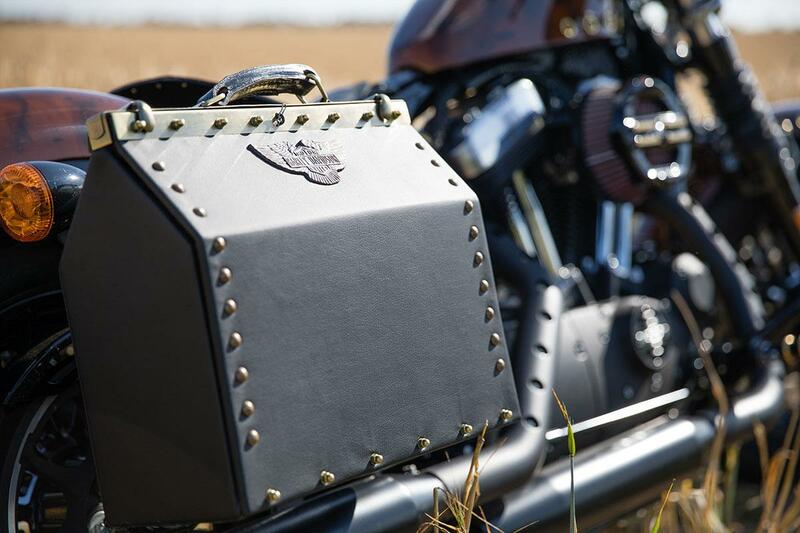 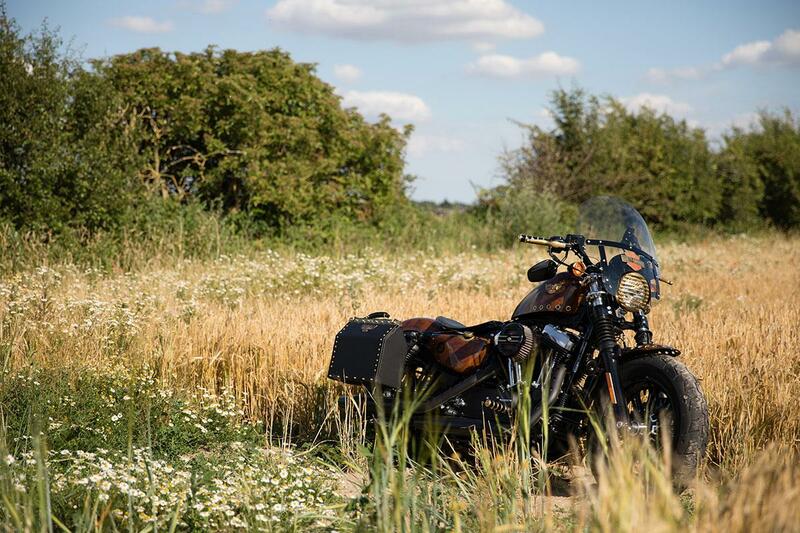 The most eye-catching part of the design are the completely bespoke panniers, which feature a drop-down mechanism which opens up to reveal a host of Captain Fawcett products and a mirror, so helmet hair can always be dealt with. 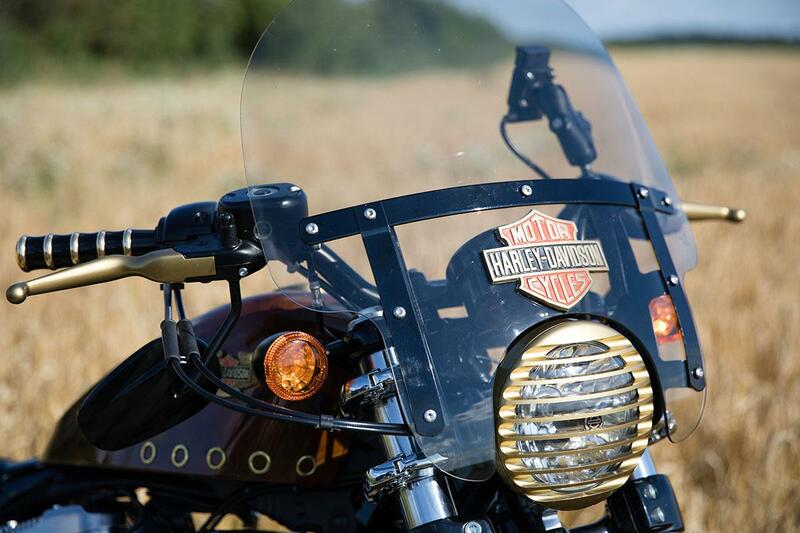 The unique paint was done by vintage Harley specialist Beans Paints and Parts in Cambridgeshire. 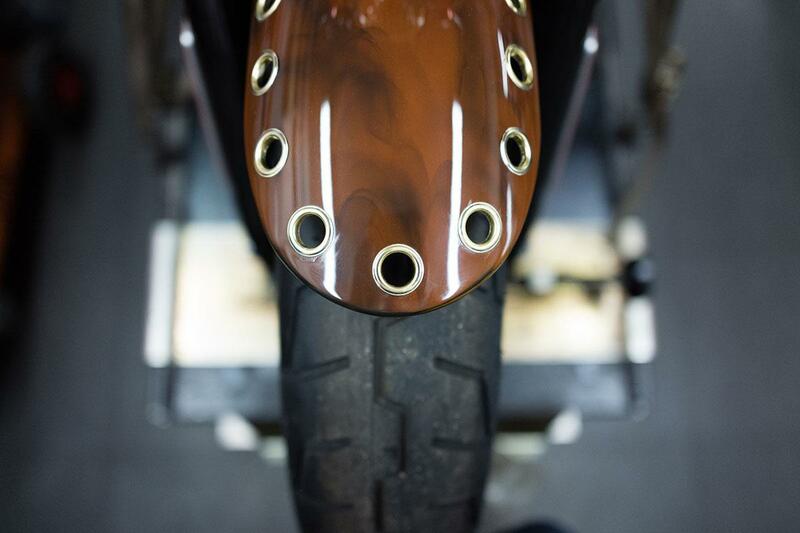 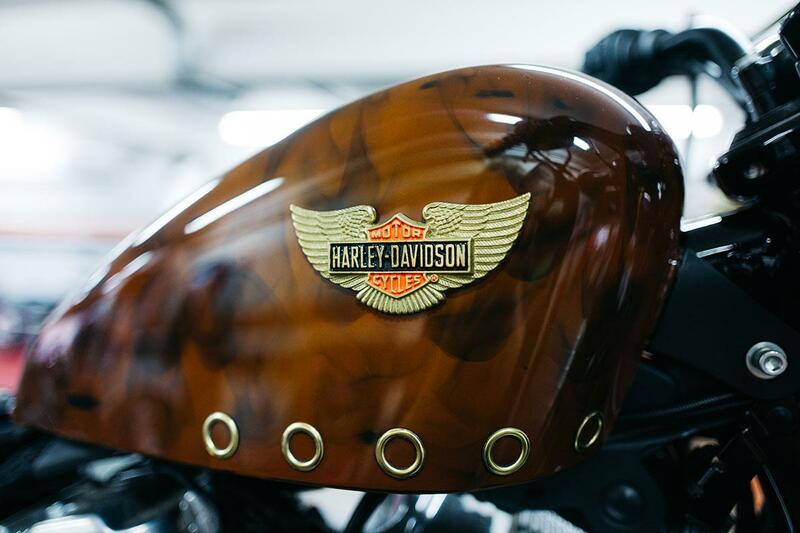 After starting with a base coat of white paint, Beans applied an old-school swirling smoke effect that was common on motorcycle tanks in the '60s and '70s. 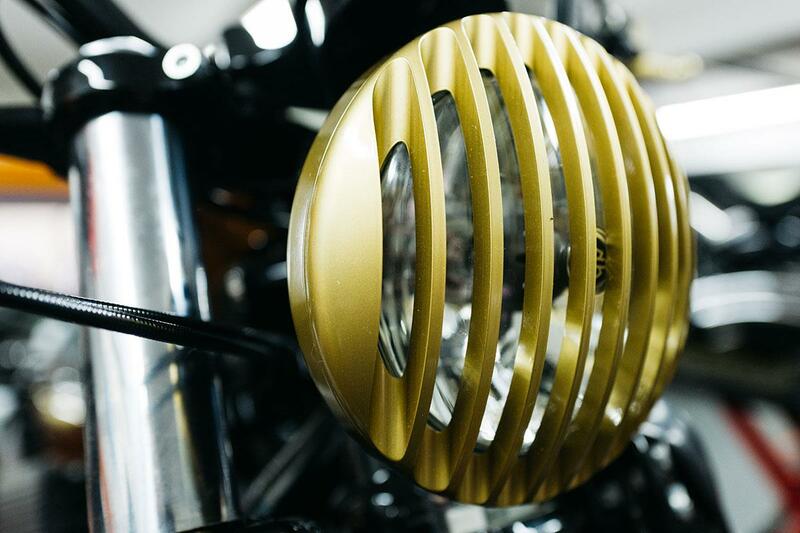 A clear coat was then applied, before candy gold paint and translucent dye with a final clear coat provided the finish.